Thank you so much to Camilla from Culinary Adventures with Camilla for hosting, and to all the other #FestiveFoodies for sharing their recipes! Preheat oven to 350°. Mix beans, tomatoes and jalapenos. Arrange chips in an even layer in a 15x10x1-in. pan. 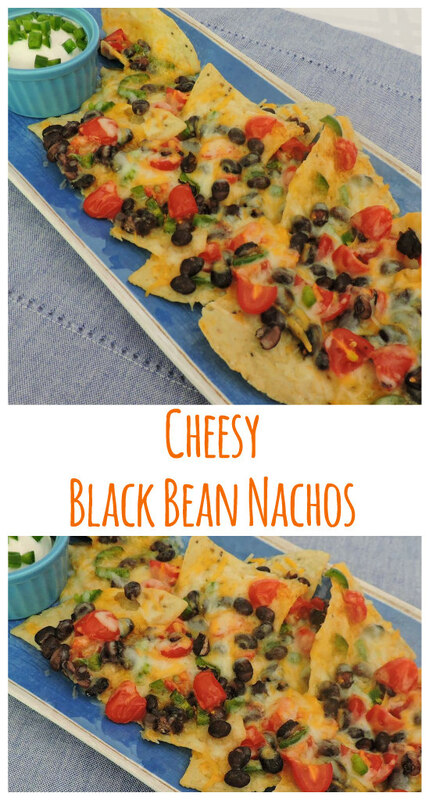 Top with bean mixture and cheese. This sounds like the perfect snack to set out with some Margaritas and Cervezas. Served poolside, of course. Oh, my goodness I need these in my life. Soon. Thanks for sharing, Jolene! And thanks for joining the party today. I love all of those toppings, I can't wait to make a batch! Black beans are my favorite! Nice nachos! I'm loving this vegetarian plate of nachos! 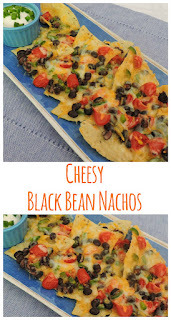 Black beans are supposed to be very good for you, so these nachos are practically health food, right?